An iPhone's battery life can be near immeasurable with so many factors to take into consideration. Between the apps being used, wireless connectivity, screen brightness and other nuances, a lot can affect this vital performance stat, but a new report suggests the biggest offenders are the impressive OLED displays Apple baked into its flagship phones. As noted by The Washington Post's Geoffery Fowler, and contrary to the common belief that all tech products improve with each generation, the battery life of advanced smartphones like iPhone is on the decline. This is in spite of advancements in processing efficiency and, for some handset makers, increases in lithium-ion battery cell size. In a recent round of testing, Fowler found his iPhone XS achieved worse battery benchmarks than the year-old iPhone X, results echoed by many other tech journalists. Fowler contacted several other tech reviewers from CNET, Consumer Reports and Tom's Guide to discuss battery testing techniques to suss out what could be causing newer phones to have decidedly shorter battery lives in daily use. While many factors impact battery life, such as power hungry apps, added computing requirements and our collective device addictions, the consensus was that cutting-edge screens included on the newest phones might be the largest contributor. The outlets use different testing methodologies, from robot fingers to looping videos and constantly refreshed web pages, but many reached the same conclusion. Consumer Reports was the lone publication to see iPhone XS and XS Max outlast iPhone X in its testing regimen. The stunning OLED displays on the iPhone XS and XS Max look great in use, but can require a lot more power to operate than traditional LCD panels. That additional power draw is outpacing gains in battery improvements. "Batteries improve at a very slow pace, about 5 percent per year, but phone power consumption is growing up faster than 5 percent," says Nadim Maluf, CEO of battery optimization firm Qnovo. That explains why the iPhone XR has such exceptional battery life, something AppleInsider noted in its own testing. The iPhone XR utilizes a Liquid Retina LCD display rather than the high-resolution OLED found in the XS and XS Max. Even though the XR screen is larger than that of the XS, Fowler found it lasted three hours longer than the iPhone XS in his battery life test. Looking to the future, battery life could take further hits as companies like Apple adopt more power hungry technologies. Newer, higher resolution displays, as well as upcoming 5G cellular connectivity, could severely detract from a phone's battery life. That is until new battery technologies are invented. Fowler included a number of helpful tips to remember when trying to get the most battery life possible out of your iPhone including using Low Power Mode, keeping the brightness down and staying on Wi-Fi (or airplane mode) whenever possible. Bull...The OLED screen, when use with settings “tuned”, the battery life is actually much more impressive than previous models with LCD screens. Apple released respective graphics in black background for good reasons - to use as wall paper or lock screen!!! There are other settings which helps on battery life as well. The main culprit of battery drain is that more apps are now using background refresh and location services. Disable all those apps which one does not require to constantly refresh in background or polling location. A huge improvement!!! I was sure I read that OLED was supposed to be better for battery life because the black pixels were really off and not consuming power as opposed to just masking an always-on backlight. This is why I don’t understand their quest for thinner phones with curved screens. Making a phone thinner than the iPhone 5 isn’t necessary, and the curved screens only increase the expense and likelihood of breaking the screen. Use the extra space for a bigger battery. Aside from what others have already stated about OLED being more efficient than equivalent resolution LCD (due to no need for constant backlighting), the author’s choice of using an iPhone X vs. Xs to make his point is also a bit silly - didn’t he know they *both* used OLED?? How close are we to seeing a solid-state battery ? Initially the battery life of my Max seemed dramatically worse than the old X (which was fantastic), but after ~ a couple weeks, the Max seemed to be doing as well as the X. (This is all very scientific, mind you.) I was wondering if, for example, the Bionic side of things runs in the background, until it learns about you or your photos or your ____, and then things settle down to a more copasetic rate of battery consumption. Basically, every tester could be right, including Consumer Reports, just depending on when they tested. Which is not true, at leat in the Apple implementation of it. OLED uses more energy than LCD even during off state. This was measured in reviews and likely have something to do with PWM, where Apple doesn't want to strain your eyes. The idea that OLED in general (Apple or not) uses less power than LCD doesn’t work out in real life. For instance, when you visit a website with a white background, like this one, OLED screens are going to use more power than an LCD. The OLED screen is only going to save power in average use when the brightness is turned down lower than the LCD. Of course if you have more black or darker colours the OLED will do better, but that doesn’t reflect most people’s usage. It’s totally worth it though. OLED can be nice. I’m not sure why anyone cares that they can use more power. Solid state batteries are here today, so asking "when will we see them" isn't really the right question. The correct question is: When will someone figure out how to make 50+ million of them every 3 months. That's the issue. That is the exact same behaviour I saw as well. My XS Max seemed to drain faster than my X. Now, about 1.5 months later, the XS Max is doing really well. I also think that the bug, where it wouldn't charge till it was unlocked on occasions, may have played a part as well. I was caught off-guard a couple of times by that. I went from a 5s to an XS. Battery life was bad for the first few days. Better now. I also carry a 7 plus for work. It has better battery life even after a few years of use. As others suggest, I turn off background app refresh on everything I can; change email to only retrieve when I am in the app and all the other tricks to maximize battery life. 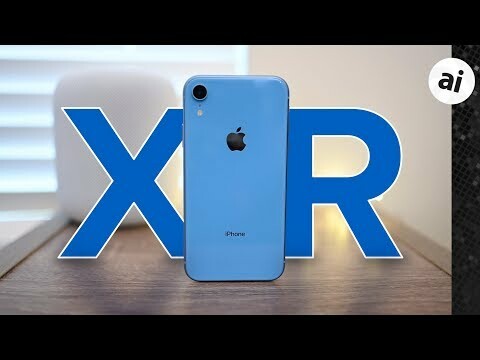 If doing it all over, I would have waited for the XR purely for battery life reasons. Still, I’m happy with the XS and spoiled because I can simply use the 7 plus if / as needed to max out battery life on both. I’m sure the resolution drop on the Xr saves a chunk of power as it’s not rendering as many pixels as either the XS or XS Max the same as the lower resolution SE had better battery life than other models for a few years, push less pixels use less power. Black pixels are not illuminated but white pixels consume the most power, like this page you’re reading. Nothing new, that was discussed years ago here, long before the iPhone X. OLED is the culprit. Is this why the X and Xs aren’t RGB and use the crappy pentile layout? This is main reason I’m gettjng a XR. Theoretically, someone might persuade those geniuses in Cupertino to introduce iOS-wide Dark Mode. It's not without reason that Apple has started putting some serious work into "dark mode". Once upon a time it was mostly something us nerds used, and a lot of screen tech actually meant that there was a lot of light bleed through (as the black had to block the backlight); but now dark mode makes sense all over the board… Fits better with the designs, more in line with what's perceived as good design nowadays, and it saves power. That was my experience too but then I remembered that when you first restore to a new device, it does go through and set up things in the background. Within a few days, my Xs Max was having amazing battery life. I’ve even been able to change my charging habits where I don’t charge it overnight. I just wake up and plug it in at work. It charges so fast over USB-C I’m good to go in a few minutes. I have said here, and elsewhere, that OLED will end up being an evolutionary dead end. mLED or some such technology will replace it as OLED just doesn't perform as advertised. Aside from a few tech geeks who love new tech, nobody else cares, and now it's come out that it draws more power than LCD, not less as they said it would. Oh but the blacks are blacker. Most people don't really care, and the fraction of a mm thinner is irrelevant to most people as well. And yet there are some phones with OLED screens that already have similar battery life times as the iPhones have traditionally had. iPhones have never been known for the battery life, LOL. All I know is that my Xs Max lasts a lot longer than my 7 plus ever did.